Tomorrow sees the announcement of the Man Booker Prize longlist for 2015. I was hesitating from making some predictions of what we might see since a) my previous attempts at anticipating the winners and losers have not exactly been stellar and b) I’m struggling to think of 13 titles which is the traditional number on the longlist. But having scratched my head for several hours I’ve come up with a few that meet the stipulation that only novels written originally in English and published in the UK (regardless of the author’s nationality) can enter. The book has to have been published between October 2014 and September 2015. First up are two novels I hope don’t win. I know that sounds a bit mean and disrespectful to the author if either is truly considered the best of the last 12 months. But neither of these books interests me and if it wins I will have to read it as part of my Booker Prize project. 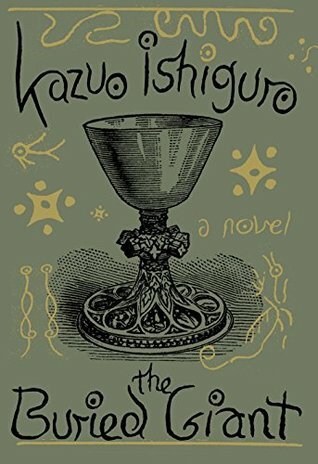 I do expect to see The Buried Giant by Kazuo Ishiguro on the longest, and probably on the shortlist, given his stature and the fact this is his first novel for 10 years. It’s attracted widespread acclaim. I had planned to read it and even to see the great man at the Hay Festival but then discovered that much of it was a fantasy and it contained non human creatures that talk (a bug bear of mine). My library reservation was cancelled. Another prediction I hope doesn’t materialise is Kate Atkinson’s A God in Ruins. This is another book I’ve not read but since it’s a companion to her earlier novel Life after Life which I could not finish (I got completely bored with it ) I’m not keen to read this one. I may be lucky here since she hasn’t made it to the longlist in the past and she’s written far better novels. And now to the books I would like to see at least long listed. 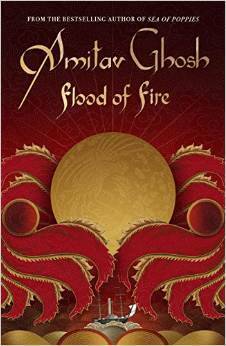 Flood of Fire by Amitav Ghosh. This is the third novel in the Ibis Trilogy which began with Sea of Poppies set against a background of the Opium Wars in China. His latest novel Flood of Fire returns to the outbreak of that time and follows a cast of characters through to China’s devastating defeat and Britain’s seizure of Hong Kong. Ghosh is someone who meticulously researches his novel and brings the historic period to life through some well-drawn characters. I’m relatively new to his novels but have enjoyed everything I’ve read so far. The change in rules which came about last year means that American authors can now enter the Booker Prize. 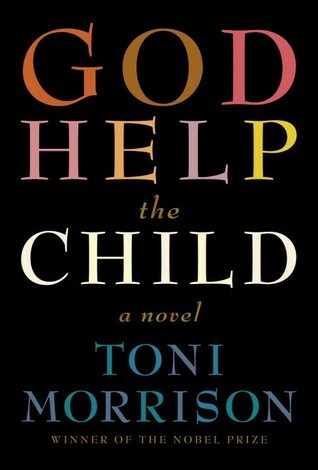 Which means we could see Toni Morrison, winner of the 1993 Nobel Prize in Literature and 1998 Pulitzer Prize, enter the fray with God Help the Child. Robinson is known as an author of epic themes and for raising the American consciousness. In her latest novel she explores how the sufferings of childhood shape the life of the adult, about the nature of beauty and veneration of being black. I’m saving my favourite for last…. 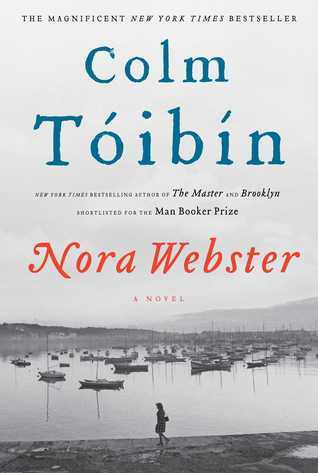 Norah Webster by Colm Tóibín, a tremendous study of grief and the rebuilding of a life in 1960s Eire. Norah is recently widowed, left with four children, little money, no job and far too many people trying to tell her how best to organise her life from here on. It’s a story told in chronological order, following Norah’s consciousness as she shapes her new life inch by inch. Tóibín is no stranger to the Booker Prize – he’s been on the shortlist three times: in 1999 for The Blackwater Lightship, in 2004 for The Master’ and 2014 for The Testament of Mary. Could this be his lucky year?? Posted on July 28, 2015, in Man Booker Prize and tagged 2015 Man Booker Prize, Amitav Ghosh, Colm Toibin, Kate Atkinson, Kazuo Ishiguro, Toni Morrison. Bookmark the permalink. 34 Comments. Julian Barnes definitely had a point when he called the Booker “posh bingo”. I liked Nora Webster too and think Toibin pitched the tone brilliantly. The radio interview I heard clear didnt do a good job of conveying the essence of this book then. they definitely implied talking dragons! I haven’t read any of them so I can’t join in. 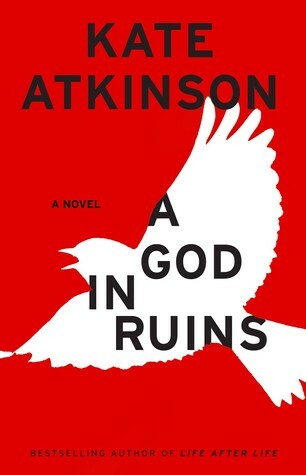 I own God in Ruins, but haven’t read it yet. I loved Nora Webster. Definitely one of my favourite books from the past year. I was inspired to read The Blackwater Lightship afterwards and enjoyed that one as well. And how can I forget? A Little Life by Hanya Yanagihara! I’m also throwing in Nora Webster (I thought it was already longlisted last year) and A God in Ruins (just to complete the 13 slots). well you got one of those right! It’s interesting to see your thoughts on this. I’m rather out of touch with recent releases but the one that does interest me is Nora Webster, I’d be very surprised not to see it on the longlist. It’s at this time of the year that I realise how little contemporary fiction I read Jacqui. When I looked at the Guardian list it was frightening how few of those titles I had heard of. well you and I ended up surprised and disappointed by the lack of Nora Webster on the list. I just finished Nora Webster (still have to post about it on my blog), but I absolutely loved it. I get hooked on Colm Toibin about 3 years ago and I just have to read him now. There is something about that understated emotion that gets to me every time. My first one was Brooklyn, then I went on to The Blackwater Lightship. It features the same world of Enniscorthy, County Wexford. I love The Master but it is quite different; it is about Henry James, one of my fav American classics. I did not like The Testament of Mary so much, but the writing was very good. If The Buried Giant wins, pigs will fly. I’m a fan of Ishiguro, but this work was not his strongest effort. He can do better. Out of all your predictions, which one would you recommend? Hi James, Undoubtedly it would be Nora Webster I would recommend. Ishiguro does seem to have divided opinions a lot. Critics seem to have loved him but ‘ordinary readers’ said it was dull and they felt the characterisation was lacking. I’m excited to see the longlist, too! I’ve no idea who’s gonna be on it, but a few other bloggers who have posted about this topic have predicted Kazuo Ishiguro and Kate Atkinson too. well, I only got two right. Lots of surprises as usual. I look forward to reading some of them soon. I think it was a pretty surprising list and I don’t think many people did well with their predictions. Are you trying to read all even the long list books? I look forward to your reviews. I have read very little published in 2015 so have no predictions to offer. I would expect Ishiguro to be there though. I have a copy of Nora Webster which I am intending to read soon and I also have Wolf Border on my kindle which I have seen mentioned by some. One novel published in 2015 which I thought glorious (but its not a Booker book so have no expectations for it ) was The Evening Chorus by Helen Humphreys. I think you would enjoy Nora Webster, Ali because you seem to like books which have strong female characters and are a study in character. As for Evening Chorus, I’ve not come across this yet but like you my reading of 2015 titles is very slim.